If we pull all the questions ever asked till date, about phones, since EPOCH in a single room and play them at the same time. The loudest of the chorus would be: iPhone or Android? 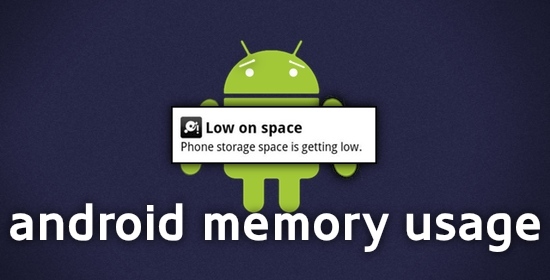 Mobile owners, geeky or otherwise, have asked this question multiple times. [pullquote align=”right” textalign=”right” width=”30%”]iPhone is a hardware, a product that you can hold and feel through your 5 senses where as Android is an operating system, a software that you can experience with your 6th sense, if possible! [/pullquote] Well, for me this question is the most stupidest of all I have ever heard! 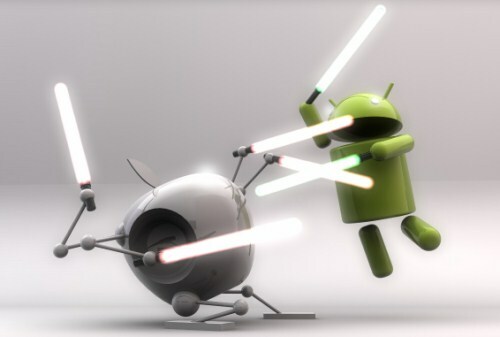 “iPhone or Android” is like “Dell Laptops or Linux” or for the non-geeks “Apples & Oranges.” They ain’t the same. So, the actual question should have been: ‘iOS or Android‘ or to be easier on non-geeks, “iPhone or Android-based Samsung phones.” Yes, there is a generalization here that android phones are Samsung phones. Because, for all practical purposes, the actual question in head is “Should I spend money on an Apple phone or a Samsung phone?” Who is bothered about HTCs, LGs and Motorolas in the market? Even the patent wars are only between these guys! Anyways, to return the question, how does one decide? There are plenty of parameters to be considered than just loyalty or fan-club or status. Some very valid useful day-to-day parameters. Some technical. Some not. I listed the things I considered while I picked my phone. The gist here is that do check the durability first. Don’t worry about if iPhone will give you more jealous stares than Samsung or if Samsung has a 5″ screen! 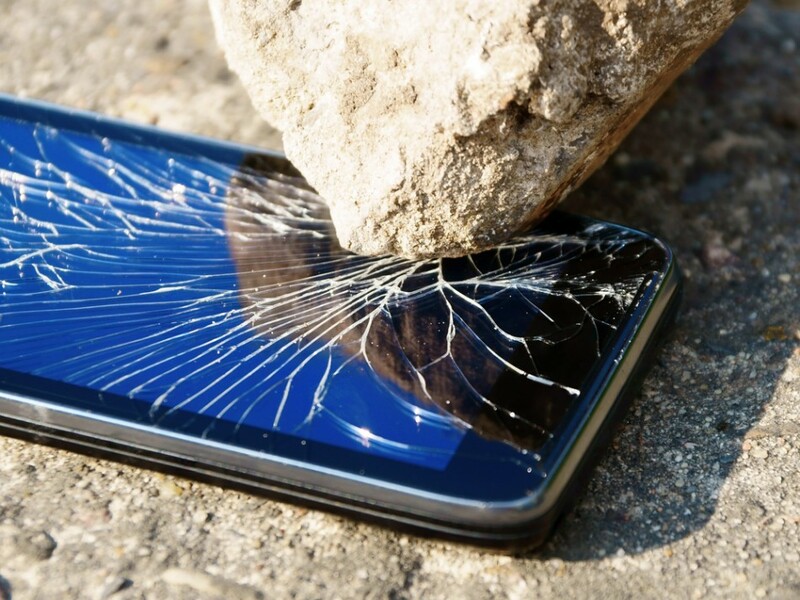 Durability is extremely important esp in the over-priced Indian mobile market. handling many things at the same time? In other words, if you open your FB app and Twitter app as well as wanna upload a picture on Instagram can you mobile hardware handle this? Is it fast enough or will it crash? running the latest version of the operating system? Actually, this question is more relevant to those who are picking up Rs. 7,000/- android based phones because they are android!! Don’t! You will feel miserable even before you have uploaded your first selfie on all social media! Imagine a phone with 256MB RAM but 16G extendable card slot! The card-slot can be just like an USB for computer, just a storage and means nothing more than that. So check your hardware capability. Don’t get deluded by the “16MB camera” or “Gorilla glass” or “Bluetooth 4.0.” This is specifically applicable for Android based phones, check if the current hardware is capable of running the latest version of Android. Updating the OS (i.e., Android or iOS) regularly is important from security perspective as well. What is the point of an Android based phone that is capable of supporting only Android v2.3 esp when the current version is 4.4?!! Just to put into some perspective, in the initial days of Samsung Android phones, those who migrated from Blackberry couldn’t handle the slow speed (& of course, the frequent crashing) of the email app on the Samsung phones. Let us face it, Blackberry was a phone for the corporates & hence its focus on the email speed was obvious. So, now for such use cases, an Android based phone was a strict no-no (at least, in the early days). So, understanding the hardware capability in line with your requirement is extremely crucial. Now we come to the features. Quite a few features that are marketed as the single most reason why “this” phone is better is pure gimmick. Unfortunately, it is working. A damned marketing gimmick that is working. Why will I need a dual screen? I mean, what scenarios I will _not_ be able pause whatever I am doing and switch the app for a while? I mean, seriously? Those who have used a ‘dual screen’ phones can you list out the number of opportunities that came by to use this feature? I doubt it! So list out the truly useful features for you. For example, if your family & close friends have iPhone(s) then iMessage service could be an useful feature for you, which is not the case, say, for me. So my set of useful features will differ from yours and most of my friends. Like wise, will you be watching movies off your phone often? 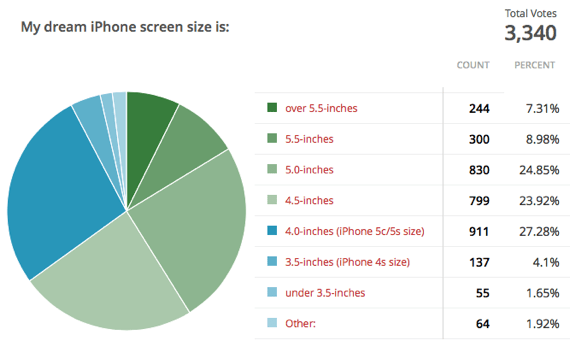 If not will a 5″ screen make any difference as compared to a 4.5″ screen? Keep in mind, bigger the screen means bigger the battery but again higher the battery-consumption. So more-or-less the battery consumption ratio should be proportional between 5″ & 4.5″ screen. You ain’t gaining much, IMHO! The above section, i.e. Useful feature set, was an unbiased objective look at the feature set of the phones available. Now let us be a bit subjective. Let us get biased with our own requirement and reassess the phone’s capability. Obviously, the first step is to identify why we need a smart phone. 🙂 Once that is done, let us, again, list of the features that will _positively_ make a difference to our lives. Samsung Gear or (proposed) iWatch? Take a stock of useful mandatory features. Don’t get seduced by a near useless feature, say, Bluetooth 4.0. What is the point? How often we use bluetooth now-a-days? Ever since ‘cloud’ has taken over sharing of data across devices the usage of bluetooth has nearly dropped to zero. So why do I need to pay for a super fast bluetooth that I will never use? 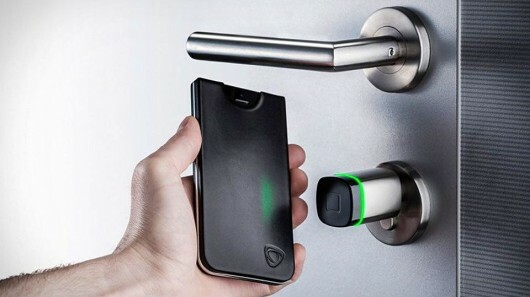 Similar questions to other useless features like NFC! NFC? Really? Tell me one place you get to NFC in the 2nd populated nation in the entire world?! Useless feature, at least, for the next 3 years in Indian scene. Rather look into useful things, battery life or better camera. This is the next big thing at least for me. Let us face it. Phones has their limitations in terms of size. I, for one, don’t like browse using the phone unless forced to. I prefer a slightly bigger screen. Same when I am trying to read an eBook or a blog post. Phones are not meant for reading but I don’t wanna reach for my laptop for every quick look ups. That is where tablets come in. It is a perfect compromise between smaller screen phones and bulky laptops. So, tablets are the future whether we like it or not! Why is that important in choosing the phone? 🙂 This where the lucky knowledge of working in an IT industry comes in use. Let us take a scenario about an year into the future. Say, you own a laptop, a smart phone and a tablet. Obviously, you gonna share your data between these devices. But what you might not realize is this sharing of data will be much more frequent. For instance, you were reading an article on your laptop but you gotta rush out now. Then you want that same article in your tablet and at the same page you stopped. Another example, podcasts. You want the podcast to start exactly at the same place where you left earlier. Now, obviously, if you have a cloud-sync all of these will happen in the background for you. But is cloud the _only_ answer to such trivial but significant use cases? So invest time in understanding if you gonna go for iPad or a Galaxy Tab. If possible, synchronize your operating system between these two. Extremely useful in the long run. Lemme explain it differently. Suppose you bought an iPhone 4 (which is running at a low-cost of Rs. 16K as of this blogpost) because it is cheaper now. Obviously you start loading the system with all possible “free” apps like FB, twitter, gmail, google maps, bookmyshow, etc…. Soon, you will run out of the useful free apps. Sometime in the future you will be so reliant on your phone and you would not mind investing in a $.99 app. Before you know you will have apps worth $10 (i.e. Rs.600/-), which is _not_ an high amount. But what this has done to you is: you are not tied to iOS!! Soon iPhone 4 will be too slow and you wanna upgrade. The newere iPhone could be around 50K (or even more) but you cannot _not_ buy this as you have invested in the iOS ecosystem. If you decide you would rather go for a less priced Android phone then you burdened with starting all over from scratch. You gotta start from identifying similar apps (not all apps are available in all mobile platform!). You should consider yourselves lucky if you can find one. But then how will you set up this app with the data from your iPhone?! The ecosystems are incompatible, to say the least!! Ain’t easy, folks! Ain’t easy to begin from the top in a different ecosystem!! I am not saying it is impossible just saying it brings its own set of damanges. So, do your diligent analysis of your requirement & verify which of the ecosystem you wanna invest. Next Why self-driving car is a must in Bangalore? 2. whatsapp,fb/mails : this can be independent of ecosystem what you mentioned. 3. games : this can be independent of ecosystem what you mentioned. 4. browsing: go to the store . pick what you like . know the prices . search online to find the best deal. order online and leave the store. : Even this can be independent of ecosystem what you mentioned. 5. listening music : to some extent sync might be useful but going with cloud i doubt this would help being in same eco-system. But would this drive us to choose iphone. The mobile industry is saturated. And it is in similar state as what laptops were in 2006. Surprisingly even now Intel advertises with the caption “ finally a product that meets customer expectation” and everyone knows that it happened long back. I would say tablets have future in replacing the laptops and I think Microsoft surface is combo of mac-air and ipad .http://www.gizmodo.com.au/2014/05/microsoft-surface-pro-3-review/ . there are other solutions on ipad+ipad-keyboard but why they weren’t successful . I think if the Mircosoft Surface comes up with Microsoft Professional or windows 7 then it is good chance that majority of office machines and generally usage can shift to MicrosoftSurface . it is just my guess. Basically I am not that convinced just for the cloud-solutions sync we should be in apple eco-system . So please give the list of application/requirement that make people to upgrade iphone 5s and next gen.
For all our usages I still say iphone 4 is more than enough for our usage. Isn’t it with the apple-itunes you can easily sync any device? my friend owns mac-book for the last 6yrs and it is still working as it worked when it was bought.. my dell laptop went to trash within 3yrs. Many dell laptops story is almost same. Hp is even worse. samsung and others horrible: one of my friend’s mobile screen broken. the service costed 75% of the phone cost. 3. most of the time user-required features. So if we want a product that last long and meet your requirements ( most of the time yes ) then choose Apple. why Nokia symbian failed . Mainly it wasn’t compatible for touch screen I guess , but all functionality could be done even with present NOKIA ASHA keypad model phones as well. After iphone , ipad bridge the gap between phone and laptop . was a competitor to Kindle . Too lengthy though and some unnecessary info , I might be wrong i guess 😉 . So please give the list of application/requirement that make people to upgrade iphone 5s and next gen.
[Vinod] Isn’t it with the apple-itunes you can easily sync any device? Naah! itunes can handle only apple product. So, if you got an awesome photo in your Android phone & wanna view it in your iPad then you gotta share it using 3rd party cloud solutions like dropbox et al. This solution is _not_ a deal breaker but just mentioning that being in the same ecosystem provides you much better & fluid movement of data. [Vinod] 3. games : this can be independent of ecosystem what you mentioned. Not entirely! Some of the games are available on both platforms but most are not. iPhone has definitely a much richer gaming ecosystem compared to Android by the virtue of being the early bird. Both in terms of high-performance mobile device (be it iPad or iPhone) and in terms of high-resolution graphical display. Android has definitely caught up with iOS but it will always play the catch up game & can hardly become the leader in the mobile gaming market. Or at least, not until something fantastic happens along the way. [Vinod] So please give the list of application/requirement that make people to upgrade iphone 5s and next gen.